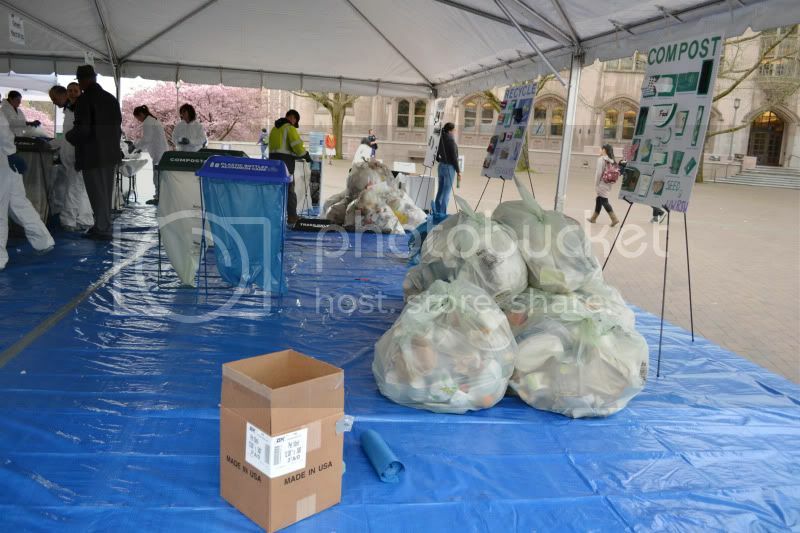 The annual Trash-In took place in Red Square a couple of days ago. 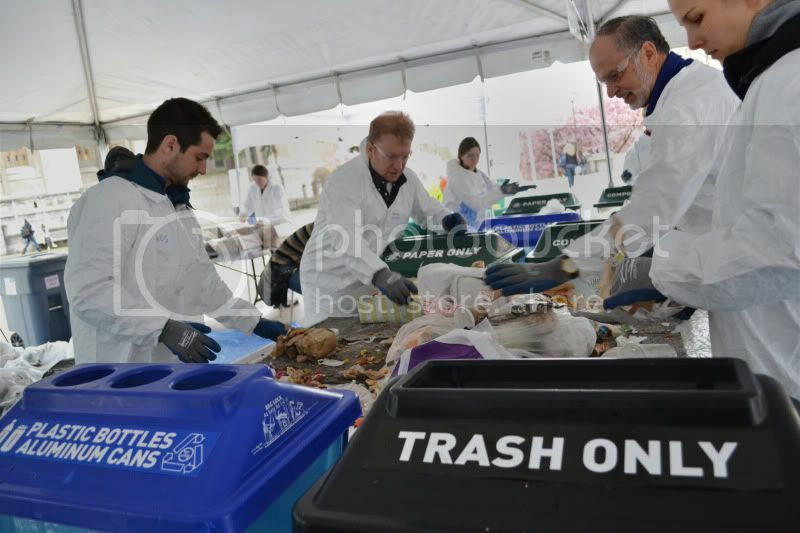 UW students, faculty, and staff volunteered to sort out trash from buildings on campus that could have been recycled. Under a huge white tent laid piles of stuffed trash bags, and the volunteers divided themselves into groups to sort out the good stuff from the bad stuff. What a great event. It reminded me that anyone can do their small part to make a big difference. It really doesn't take that much more effort or time to sort your trash before you throw it away. Create a compost bin, reuse items, take only what you need because you can always come back and get more. I'd like to think the little things add up.